The University of Florida Health’s (UF Health, Gainesville, FL) Wisdom in Diagnostic Imaging (WIDI) program is hard at work preparing for the 2018 Emergent/Critical Care Imaging SIMulation (SIM). Described as “SIM 6”, the SIM provides diagnostic radiology residents from dozens of community, academic and government institutions the opportunity for state-of-the-art assessment, training and targeted remediation. Visage is proud that Visage 7 is the exclusive enterprise diagnostic viewer for the SIM. Through Visage’s latest blog post, you’ll learn more about the SIM, and why Visage 7 has proven to be indispensable to the program. 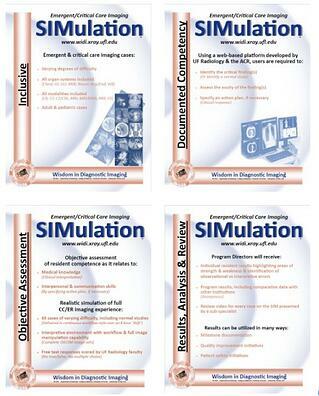 The SIM is the brainchild of the very talented educational team at UF lead for the last 18 years that began its public phase of this effort in 2005 with the online publication of the Curriculum In Diagnostic Imaging Reporting in 2005. That effort was seed funded by two RSNA grants created by UF faculty members Drs. Linda Lanier, Chris Sistrom and Richard Rathe. The team is lead by Dr. Anthony A. Mancuso (See photo), Professor and Chairman, Department of Radiology, UF College of Medicine, who has spent the last eight years more specifically championing competency-based training initiatives for radiology with this team at UF. 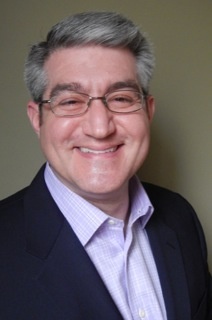 Dr. Mancuso is currently publishing (https://tincture.io/@mancutay) a comprehensive, now 12-part essay series, including “Moving Towards Modern Medical Education and Training, “ that details the specific pathway to adherence to modern learning, educational theory, and the outcome of the application of those principles in this sphere of medical education. Competency-based training is dramatically improving diagnostic radiology education by exposing knowledge gaps and the SIM represents one of the very best available competency-based evaluation rubrics available to bridge those gaps. Diagnostic radiology residents need to be able to demonstrate effective clinical decision making in real life and the SIM provides the assessment vehicle to prove that they are ready. The SIM was started in 2010, when UF Health began developing the SIM as the assessment component of the Wisdom in Diagnostic Imaging Program, a multi-faceted and fully-integrated online assessment, education, and remediation program for diagnostic radiology residents. 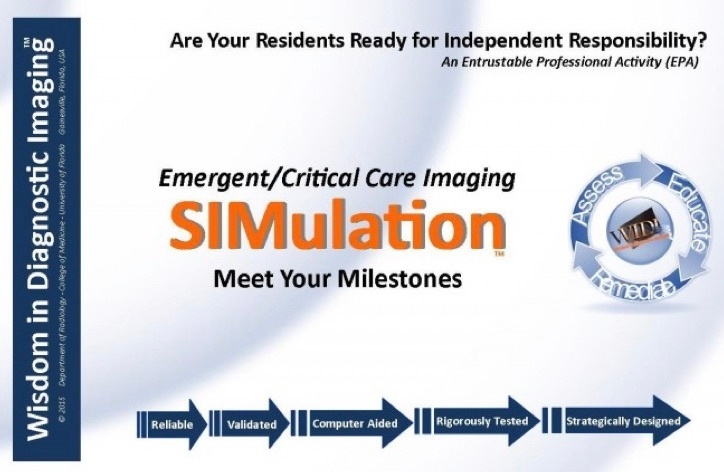 The SIM provides program directors with an objective assessment of resident competence in the areas of Emergency/Critical Care Imaging and affirmation of Milestone achievement, as it relates to Medical Knowledge (Interpretation) and Interpersonal/Communication Skills. In the event that weaknesses are identified, program directors can utilize other components of the WIDI program to provide appropriate education and remediation in a timely and targeted manner. This includes WIDI Learn, WIDI Teach and remediation simulations. The fundamental intent of the SIM is to present diagnostic residents a real-world, one-for-one simulation of diagnostic interpretation. The SIM encompasses an 8.5 hour online simulation during which sixty-five (65) emergent and critical care cases of varying degrees of difficulty, including normal studies, are presented via full DICOM image sets (no cueing by multiple choice) with full image manipulation across multiple displays. All Emergency/Critical Care Imaging sub-specialties and modalities are included on every SIM. For each case, residents are asked to: identify the critical finding(s); assess the acuity of the finding(s); and specify an action plan (clinical response). Once all of a program’s scheduled residents have taken the SIM, submissions are graded by a team of sub-specialists. For a complete overview of the SIM, click here. One of the keys to the SIM is the use of the complete, original DICOM data. Residents need to view a wide variety of studies, from numerous modalities, including both small and large datasets complete with relevant priors. The content is most important, and the size of the datasets must not be a determining factor for use. It’s also impractical to force residents to travel to Florida or to regional testing facilities to take the SIM. Diagnostic residents register to participate in the SIM from across the U.S., and take the SIM at the institutions where they are training. When the SIM first started, web-based viewers were predominantly used for remote viewing and not for diagnostic use. In those days, the SIM would provision and send servers to institutions that had signed up for the SIM. This approach was very costly as UF Health’s SIM staff was required to manage program logistics and technology, as well as to provide support to the institutions that had to setup the servers and get the environment ready to go. UF Health knew this was not scalable to meet the goals of the program. A few years into the SIM, new web and HTML5 viewers were available that had 510(k) for diagnostic use, and the viewers were promoted to be able to support remote diagnostic reading. Over a multi-year period, the SIM attempted to use several different viewers, but repeatedly ran into the following limitations: poor/inconsistent performance (slow image display, sluggish scrolling, etc. ), ease of use difficulties, limited clinical capabilities, restricted integration, and IT requirements that proved to be barriers/challenges for institutions to get started on the SIM (e.g., need for third-party components, use of specific browsers, etc.). It wasn’t working and the program wondered if there was a viewer available that was workable. Visage was approached by the SIM in May 2015 about their challenges, vision and a discussion ensued about how Visage 7 could improve the program. After an extensive multi-month evaluation, Visage 7 was chosen as SIM’s enterprise diagnostic viewer. 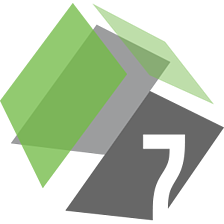 SIM 4 (2016) was the first SIM that used Visage 7, and most recently, SIM 5 was completed at the end of June 2017 delivering two years of program success. Visage 7 has helped to truly revolutionize the SIM. No longer does the SIM struggle to get institutions ready to participate in the SIM, or worry whether performance will be a roadblock. There’s no shipping of servers, there’s no restrictive IT requirements, and even when there is limited local bandwidth, Visage 7 consistently delivers fast performance, with extensive functionality for the highest quality diagnostic interpretation. The use of Visage 7 has dramatically improved the experience of diagnostic radiology residents taking the SIM. Residents can confidently proceed without difficulties setting up the SIM, eliminate lengthy learning curves to learn the viewer, and can instead take advantage of the extensive functionality and robust viewer performance. The elimination of these potential distractions allows residents to confidently take and (hopefully) perform well on the SIM. The SIM is now working to expand the scope of the assessment, beyond the critical care setting, into new areas such as breast imaging, they continue to add new diagnostic content, to expose new knowledge gaps and to triage the build of a comprehensive competency based radiology curriculum. SIM will also go international to foster the values of competency based training and evaluation outside of the U.S. Working with Visage, the SIM’s previous challenges are now a distant memory. Instead of constant worrying about their viewer, the SIM is able to focus their complete attention on the current and future of the SIM. Want to reap the value of the SIM for your diagnostic radiology residents? If your institution has not experienced the SIM, please review the SIM website to learn more, watch a video demo of the SIM, and plan on registering your residents now. SIM 6 will be administered from April 9 – June 29, 2018, and for all of the residents participating, good luck! 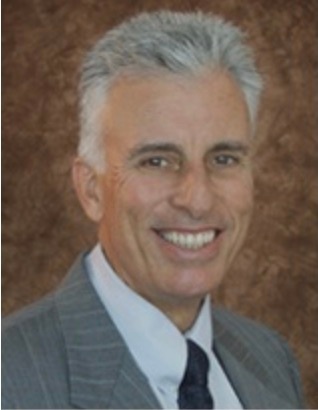 Brad Levin is General Manager, North America and Global Head of Marketing for Visage Imaging.